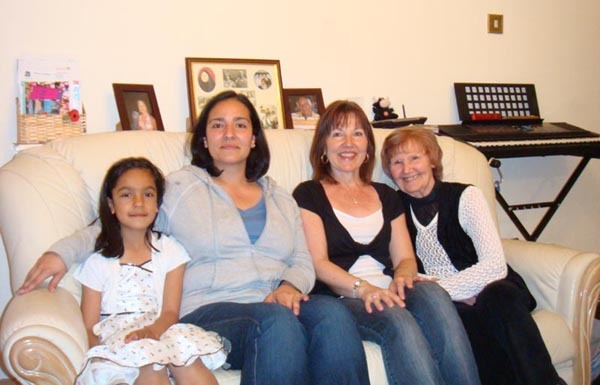 Yazmin, grandaughter, and Joanna, daughter of Irene Abdulrazzak, with mum Lily Truman. Descendants of Charles Ambrose and Martha Caroline Wilkey of Stepney. The Wilkey family of Bath & London can be traced back to the early 1600's (the marriage of Richard Wilkey and Joanna Tavenor in 1622) in the parish of St James in Taunton. This is where the traceable family roots were first identified in particular through the name of Tavenor Wilkey, born in 1623 to Richard and Joanna, unusual in that the name 'Tavenor' only exists in one Wilkey family line in the UK. The earliest known Bath family is that of Tavenor and Ruth Wilkey (1724 onwards) who are buried in the graveyard of All Saints Parish Church in Weston village, Bath. Moving to Bathwick a generation later his son William and wife Mary Anne Cooper had four children, three sons and a daughter. Two of William's sons, Ambrose and William moved to St Pancras and Stepney where further family roots were laid. William & Mary Anne's first born, Richard Cooper Wilkey (christened in St Marys, Bathwick in 1819) remained in Bath and the family has prospered in the Bath area ever since. In the early 1900's the Stepney Wilkeys flourished and at least two large families ensured that the family name survived. Detailed family history articles can be found by clicking on the navigation buttons on the side panel above and then on the arrows within the pages marked 'Learn more about these families'. See 1700's to 1900's for examples.